It’s been an exciting month for bird⋅the⋅rock!! A new website, new Facebook page, and LOTS of new friends!! To celebrate, bird⋅the⋅rock is hosting a great contest in honour of my many friends and clients – past, present and future! 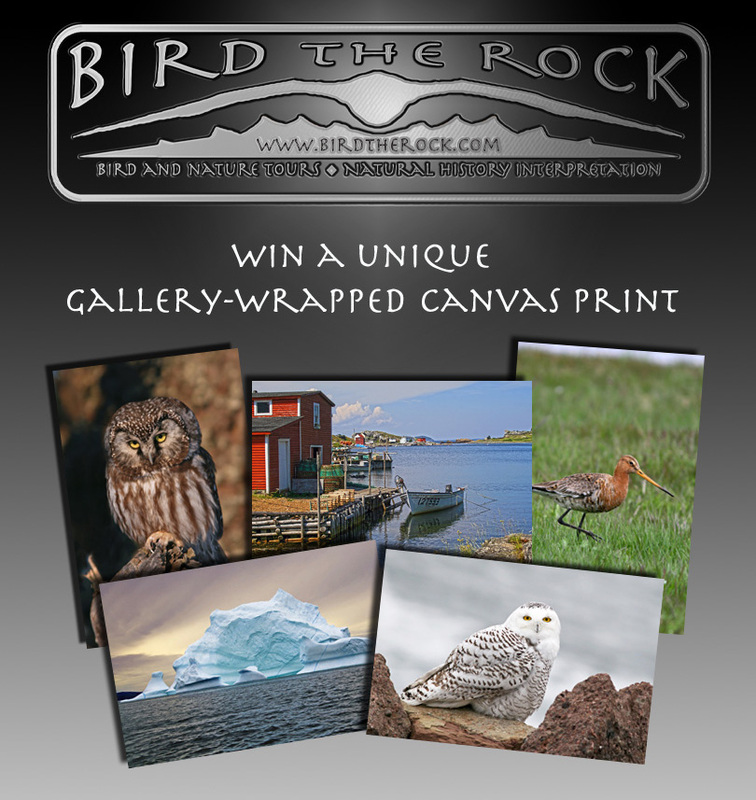 Enter to win a 16″x20″ gallery-wrapped canvas print featuring one of my best Newfoundland photographs (birds, wildlife, and/or scenery). I also invite you to explore the new website, and would be delighted if you followed my blog or Facebook updates.